Humans have, for a very long time, been bringing pieces of the outside world back inside, in the form of flowers and potted plants. We’ve done this to the extent of breeding plants that can no longer survive outside at all, or at least certainly not in most of the climates we grow them in our homes. But it’s more recently that we’ve begun to properly research the benefits of these little internal offshoots of the great outdoors. Many people keep plants to have something to care for and bond with and they have tested effects on mental health, they’ve been proven to improve office ambience and morale, they’re an important tool in interior design, and they’re also excellent at improving air quality (which can be a silent life-saver especially in urban homes surrounded by air pollution as well as the usual chemicals we bring into our living spaces for cleaning and such). My work here seeks to highlight these benefits that houseplants bring us, by using the term ‘operate’ to cast them as functional tools, but it also seeks to contrast this with most of these plants’ requirement of the home environment to survive (with appropriate temperatures, humidity, indirect light, and close attention). 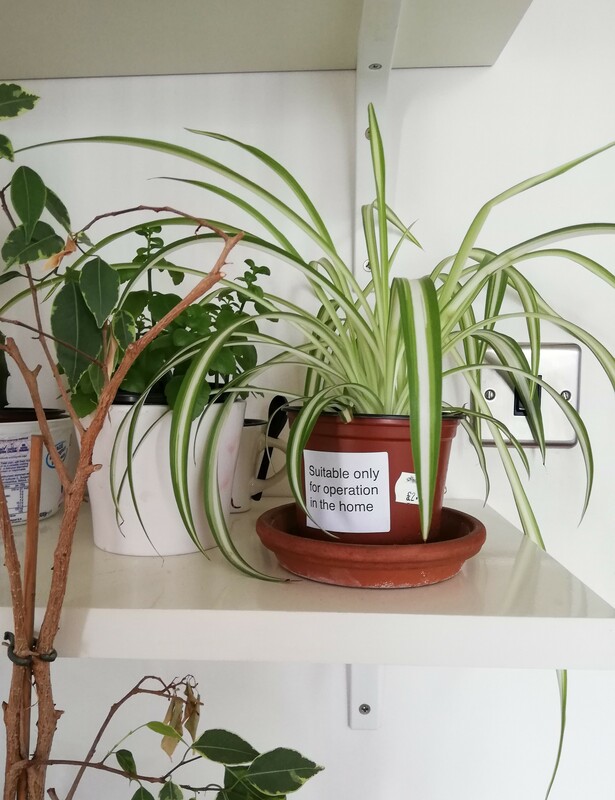 These spider plants are perhaps the best example: top of NASA’s air purification list, beautiful foliage and quick growth, but left outside even in the Oxford early autumn they would quickly die. They need humans just as we have come to need them.